TORONTO, ONTARIO, April 11, 2018 – Lexus invites Canadians to enjoy amazing experiences enabled by luxury automobiles that deliver head-turning design, supple details, class-leading safety, and pulse-racing performance. 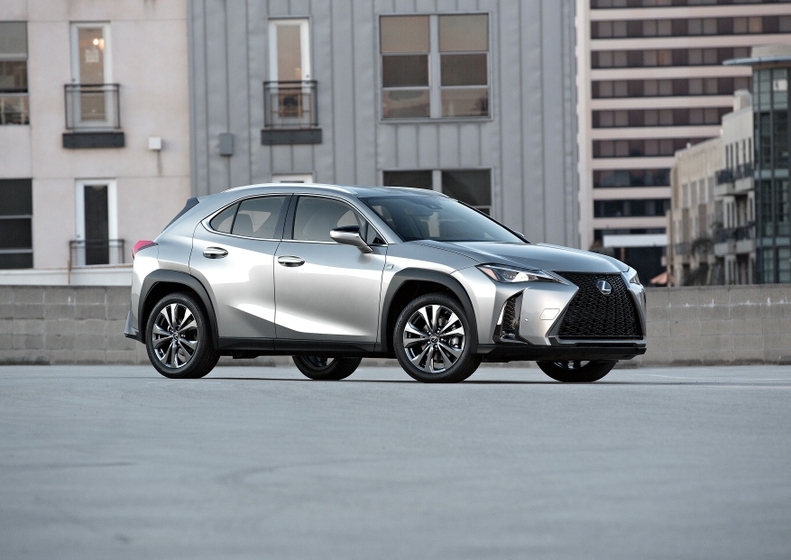 And at this month’s Edmonton Motorshow, Lexus unveils a fresh interpretation of luxury, with the all-new 2019 Lexus UX. This all new compact luxury crossover features powerful bodywork in an attractively condensed form – delivering the best qualities of both an SUV and a sedan. The cabin evokes a calm and warm feeling that is balanced by exhilarating performance, built around GA-C – an all new global architecture platform used for the first time in a Lexus. Offered in both conventional gas and gas-electric hybrid models, the UX features many all new technologies, including a Lexus Direct Shift continuously variable transmissions (gas models), a single knob ventilation control with wireless lighting system, and the world’s first aerodynamic wheel design that actively cools brakes while minimizing wind resistance. The UX is also available with the latest version of Lexus Safety System + (LSS+), including a Pre-Collision System (PCS) developed to be able to recognize pedestrians at night. Additionally, PCS radar detection has been extended to enable detection of cyclists during the day and also includes Lexus Co DRIVE (featuring Lane Tracing Assist and Adaptive Cruise Control), and Automatic High Beam. The industry-leading LSS+ is now offered on 98 percent of Lexus vehicles sold in Canada. The all-new UX is joined by a broad range of Lexus luxury sedans, coupes and SUVs – including the Lexus RC luxury performance coupe, the best-selling Lexus RX mid-size luxury SUV, the refreshed Lexus NX compact SUV, the next-generation Lexus LS flagship sedan and Lexus LC prestige coupe, plus a full line-up of conventional and hybrid models. An all-new Lexus booth will welcome Edmonton Motorshow visitors into the world of luxury motoring and demonstrate how Lexus provides a stage for the creation of amazing experiences in their lives. A unique blend of architecture, hanging elements, graphics and lifestyle experiences – plus, of course, amazing luxury vehicles – will invite visitors to embark on a journey of discovery.